The basic principles are the same. Spinal misalignments cause nerve irritation and soft tissue inflammation. Soft tissue inflammation causes pain, muscular tightness, decrease in joint range of motion, altered biomechanics, and, ultimately, injury. Such musculoskeletal injuries may be mild, moderate, or severe and time to recover depends on the nature of the injury. Additionally, nerve irritation causes an altered flow of information between the brain and the rest of the body. At the cellular level, these structures may receive incorrect information regarding the timing and performance of their functions. At the other end of the feedback loop, the brain may receive inaccurate information regarding the biochemical state of the cells themselves. Depending on which organ systems are affected, nerve irritation may impact any or all of the cardiorespiratory, digestive, hormonal, and immune systems. As a result of undetected nerve interference, both people and animals may begin to demonstrate signs and symptoms of various illnesses. The range of human disorders is generally well known. With respect to early warning signs and symptoms of diseases common to animals, horses may cough, be depressed, or lose their appetite. Cats may experience weight loss, dry coat, thirst, and sneezing. Similarly, dogs may experience a change in appetite, lethargy, dehydration, and labored breathing. Overall, most of these animal disorders may be related to conditions associated with named disease entities as well as nerve irritation. Chiropractic treatment provides great benefit in the care of horses, cats, and dogs by addressing many of the underlying causes of common disorders. By detecting and correcting sources of nerve irritation and restoring optimal biomechanics of the spine, chiropractic care helps to restore normal physiology and function. 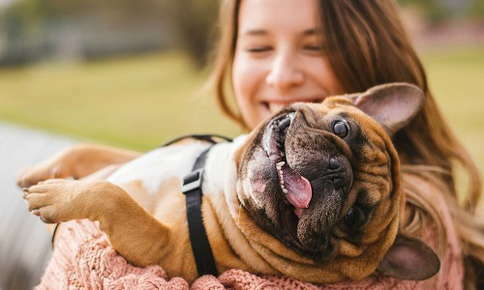 As many of the root causes of the disorder are corrected, your beloved animal begins to feel better and demonstrate increased liveliness and well-being. Chiropractic treatment for pets is similar to chiropractic treatment for people.2,3 Depending on the particular animal, chiropractic adjustments may be used. For others, soft tissue techniques such as muscular relaxation, kinesiology, and trigger point therapy may be utilized. The overall goal is to restore spinal integrity and restore optimal function to the nerve system, the body's master system. In this way, chiropractic care helps all members of your extended family achieve high levels of health and wellness. "I have benefited tremendously from the chiropractic care I received from Dr. Acosta."